What is meant by the concept ‘dark underbelly of country music’? Having used the phrase to open his show at the Kitchen Garden Café, Hank Wangford set about the task of taking the audience on a gloomy journey of misery, heartbreak and pain. Whether you left the venue fully versed in Hank’s graphic and metaphoric description of his music or not, there was no denying that you had just spent a couple of hours in the company of an evergreen performer absolutely in tune with the ethos and soul of country music. Unashamedly regressive and nostalgic in its stance, the show oozed with golden class and proved to be a faultless presentation of the timeless appeal of simple, honest and canorous music. 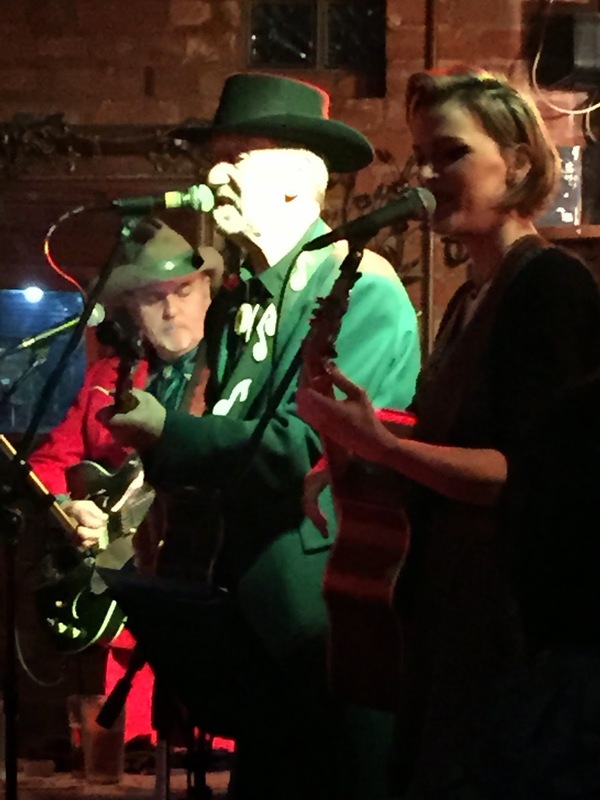 This Birmingham return was almost a year to the date since Hank first brought his show to the Kitchen Garden Café and this time he upgraded the line up to a trio with the inclusion of Anna Robinson from London-based band Hallelujah Trails on guitar and vocals. While not exactly a carbon copy of last year’s show, the focus was still on Hank’s recent album SAVE ME THE WALTZ alongside a rich and varied set full of originals and classic covers. The humour and irony was still in plentiful supply with Hank’s sidekick, Brad Breath continuing to enthuse about life in Two Boots, Colorado coupled with plenty of instrumental switches highlighted by some sumptuous sounds from an Appalachian Dulcimer. Any country music newbies would now be well educated in the merits of George Jones, Ernest Tubbs, Tammy Wynette, Floyd Tillman and Willie Nelson. Knowing a little bit about Hank’s cult status in the alt-country music movement, there was also little surprise in choosing to cover a Lucinda Williams’ number and Anna duly excelled on ‘Concrete and Barbed Wire’. The connection between this song and the general theme of the evening was Hank’s unconditional love for the waltz with the latest album, available on the night in appropriate vinyl, being a full blown tribute to a sound that differentiates between country and rock n’ roll. The title track from this record was amongst the highlights of a first set blessed with gracious music delivered in a self-deprecating style. This modesty was extended to Hank not dwelling too much on his colourful past and the illustrious musical giants he has more than brushed shoulders with. The evening was all about his love for real country music and sharing this passion with an amical audience in his own inimitable manner. Extending this interaction to mutual participation was a given in this intimate environment packed to near capacity. The audience was forthcoming when invited, and many lungs were fully active by the time the finale of ‘Simple Pleasures’ was once again selected as the show closer. Whether a departing audience were now fully conversant with the ‘dark underbelly of country music’ is a pure matter of individual conjecture but an appreciation of the merit of sad songs was one conclusion impossible not to absorb. The best way to further explore this abstract concept is to take in a Hank Wangford show and there are plenty of these still in the pipeline for this much loved and respected artist. 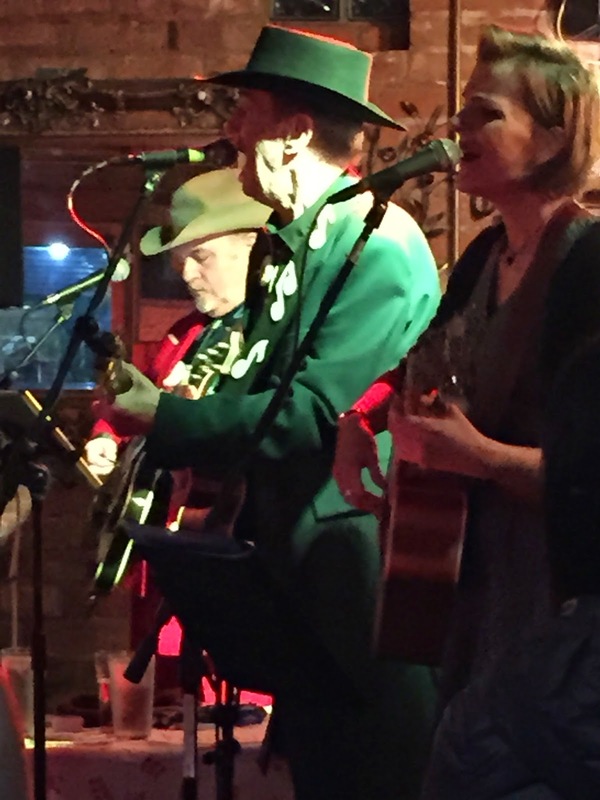 One would not bet against Hank, Brad and Anna making a return to the Kitchen Garden Café with, without doubt, many of the audience prepared to commit once more to a lesson in why country music is a special genre.